How important is a piece of paper? When one asks the hundreds of thousands of Haitians who are without the most basic form of identification, the response is more than likely that it is very important. Therefore, it is with great enthusiasm that the public has met President Michel Martelly's initiative to bestow on hundreds of thousands of unregistered Haitians the right of their birth certificates and National Identification Cards. The drive started recently in Belle Anse's second communal section, Mare Briole. Called Anrejistreman La Pou La, the Martelly Government intends to bestow the papers on some 10,000 people in the area, most of whom are said to be over twenty years of age. 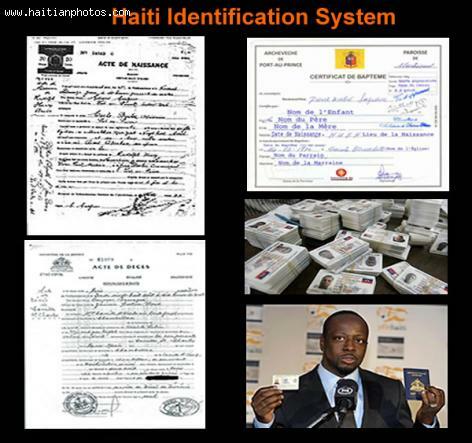 Assisting the president are the Ministry of Justice and Public Safety--which is the higher body to the National Identification Office--which is the specialized organization to handle the registry system, the Minister Delegate Promotion of the Peasantry and the National Archives of Haiti. On the historic day in Mare Briole, ten birth certificates were issued by the president to those he described as his 'godchildren'. They were also given a seedling destined to be planted as part of the reforestation program. While Martelly's symbolic role ended there, the initiative will be carried forward by five appointed clerics. There was also the reception of a motorcycle to be used in the continuance of the project. It is hoped that the project continues until all Haitians have the experience and privilege of equal rights and the 'dignity of citizenship' that has been too long ignored by the state.